The materials used to build our hinged doors are durable and assure superior sealing. 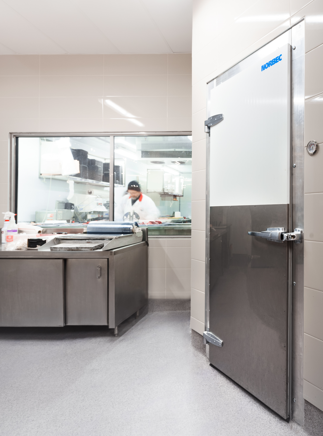 Our hinged doors are designed to comply with industry regulations such as sanitary standards, energy standards, and building standards. Norbec ensures that space constraints are also taken into account to better meet industry needs.